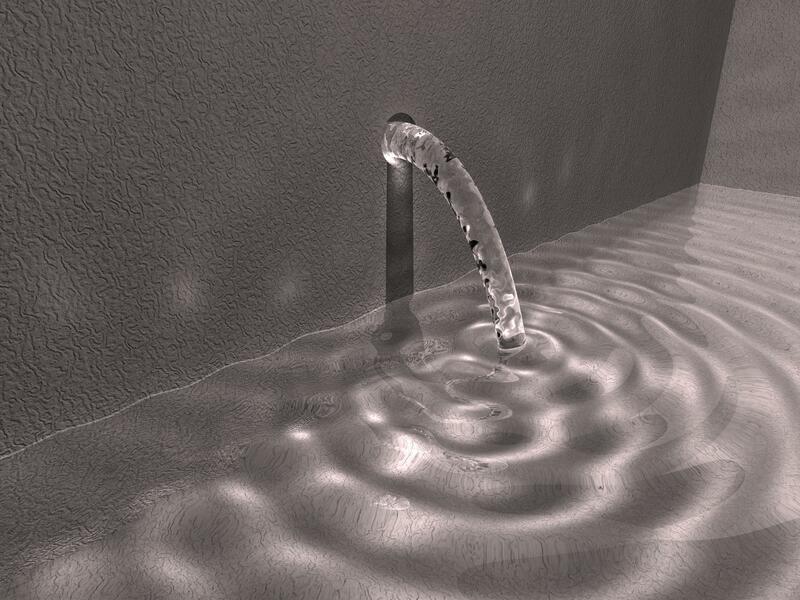 I started out the fountain with lofty ideas about a particle system with a blob around it to make the water. After coding that up, I quickly realized that the stream of water needed some kind of context. I got the idea that the animation could loop, so I tried having the stream pour into a rippling body of water, but after tinkering with that for a while, it began to look like just barely too many characters, and I didn't even have a background yet or a place for the water to come out. By then, the particle system seemed unnecessary, so I got started dreaming up ways to fake it. A small enough arc of an ellipse could be mistaken for a parabola, I figured, so I replaced the stream with a scaled torus and rotated the normal map with the clock to give the illusion of flow. That looked just as good as I was ever able to get the particles to look anyway, so I scratched the particle idea. For an extra bang, the movie automatically loops, because the torus makes an almost full rotation in the space of the animation. With my newfound character real estate I commenced to cranking up the realism. 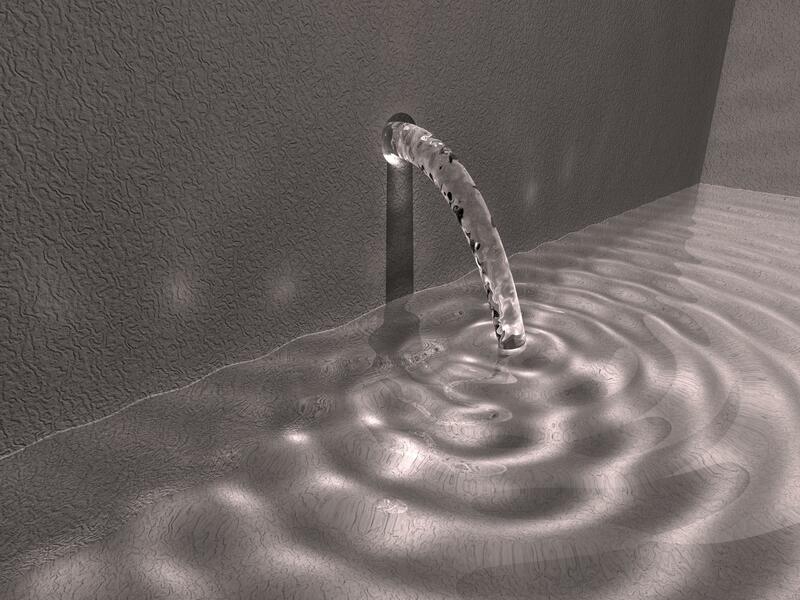 I added photons, a texture to the wall, a hole where the water comes out and the additional copy of the wave form to get the effect of the wave bouncing off the back wall and interfering with itself. When I reached 510 characters, I stopped.